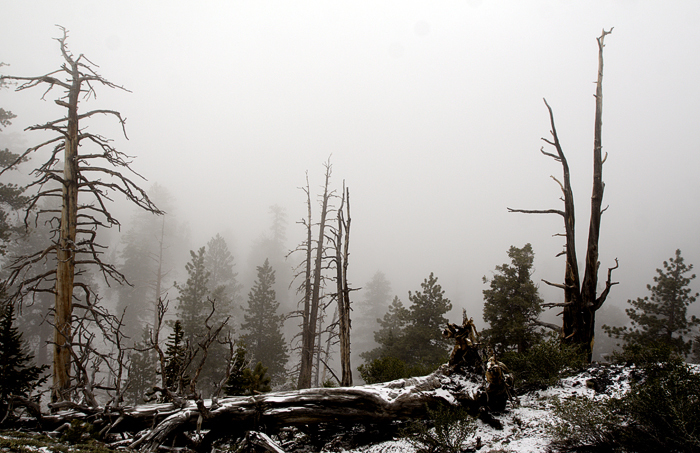 I definitely picked a strange day to hike the Bristlecone Trail. It was cold and snowing/hailing when we got up to Lee Canyon, but I figured we drove all the way up there, we might as well just go for it. Despite almost constant snow and the temperature being in the 30s, I didn't really feel the cold. My strategy of keeping moving worked pretty well. It's a beautiful hike and the snow enhanced the surroundings. It's not a short loop (about 6 miles), but I would categorize it as fairly easy, even with all the icy areas.